I love a good breakfast! 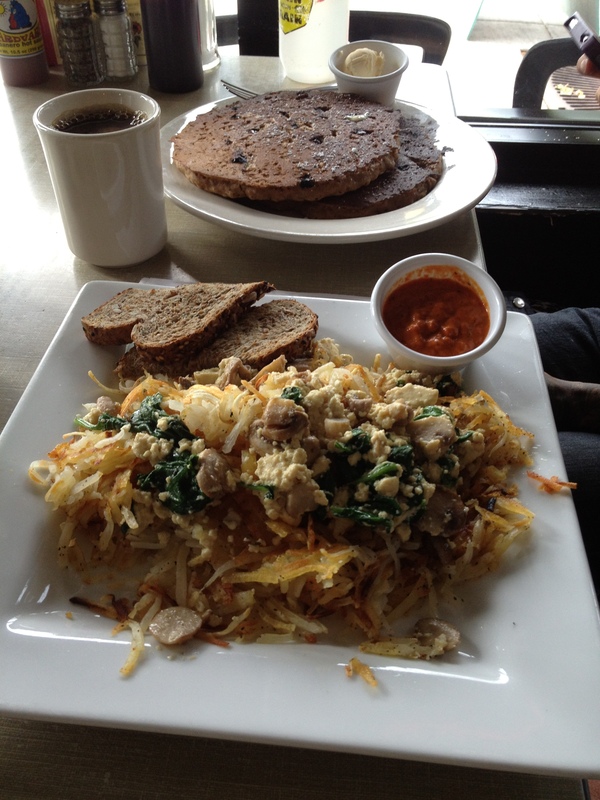 I hate to admit this, but finding a decent vegan breakfast at a restaurant can be difficult. Not everyone has a vegetarian co-op near them that serves biscuits and gravy in the morning. Often if you can get something it’s uninspired tofu scramble. 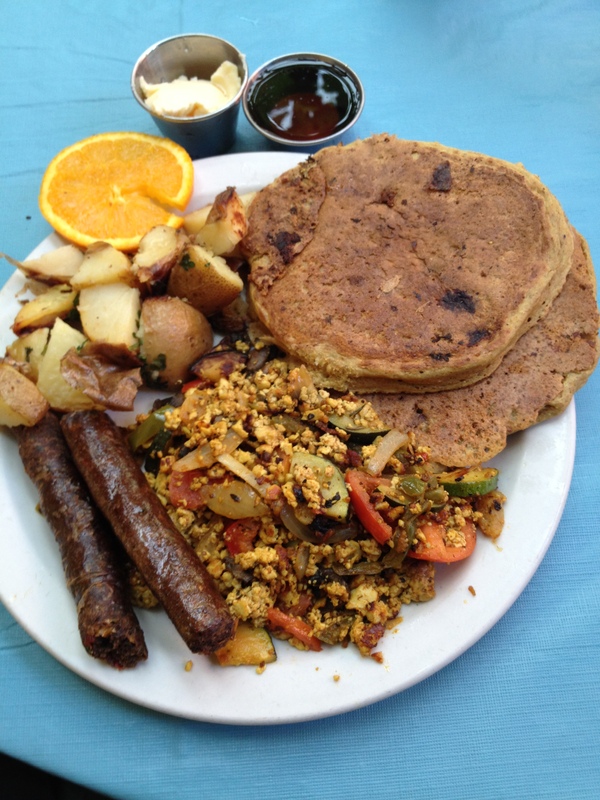 Breakfast is also the meal with the widest gap between vegetarian and vegan options. 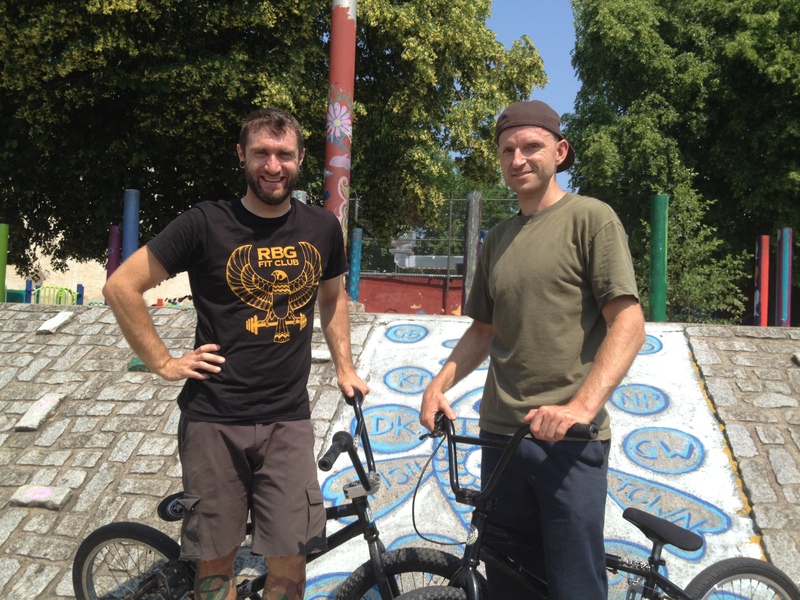 I was reminded of this when I bike toured the Great Divide mountain bike route in 2006 with my friend Steevo, a committed vegetarian. About 1 in 3 mornings we’d be able to eat out at a tiny dinner in a tiny town in Montana or Wyoming. I’d watch him devour pancakes, eggs with cheese, toast with butter…while I ate potatoes and ketchup. 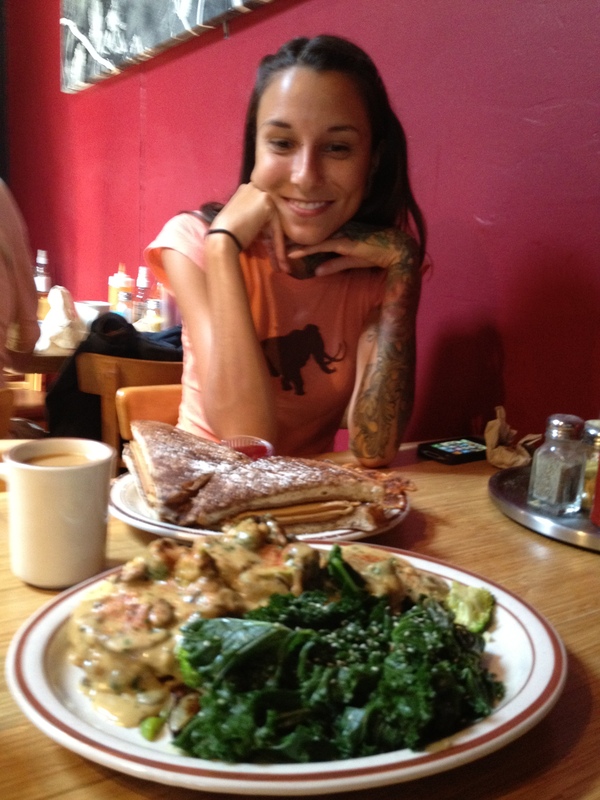 Fortunately, vegan breakfasts are improving and there’s no better place to experience this than the Pacific Northwest. The Naam, a 24-hour vegetarian restaurant in Vancouver, British Columbia that has been around for 30 years! And here’s everything you’d want for breakfast on one plate. St Dames in Seattle, Washington. 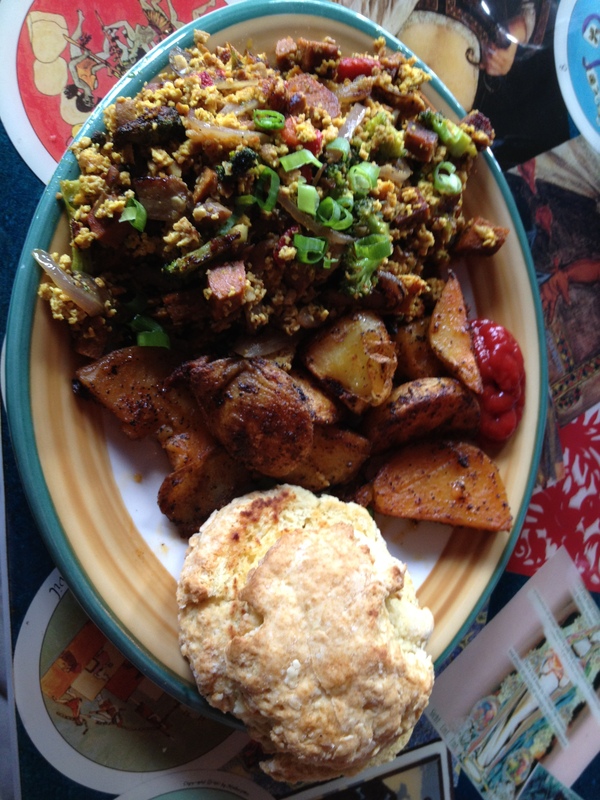 Another tasty, vegetable-y scramble with their homemade soyrizo. And a flaky, delicious biscuit. Wayward Vegan Cafe, Seattle, Washington. Now we are getting fancy. Biscuits and gravy with diced, sautéed veggies AND a side of perfectly cooked kale. Lightly seasoned veggies are the best compliment to biscuits and gravy. Marissa has a Monte Cristo- basically a ham/turkey/cheese sandwich with french toast as bread. It came with a side of hashbrowns, which is my preferred breakfast potato. I wish this photo was better! Jam on Hawthorne, Portland, Oregon. Jam isn’t my first choice for breakfast in Portland, but this is a terrific meal. Even though their scramble is just okay, serving it on a bed of hashbrowns with a side of red pepper sauce makes up for it. And blueberry chai pancakes!